PERFECT FOR DOGS AND CAT OF ALL SIZES! Christine from Arlee & Salah from Miami bought this item recently. Perfect for Dogs and Cats of All Sizes! 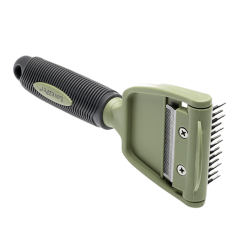 The Love2Pet® 2-in1 grooming tool has a patented swivel head design with the rake on one side and the de-shedder blade on the other side. 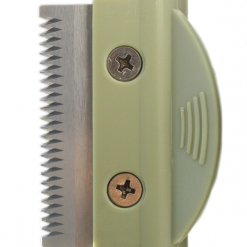 Both the rake & de-shedder heads are made from quality stainless steel. Love2Pet was developed by pet professionals. So, unlike brushes that can break coat hair, leaving it brittle and uneven in appearance, Love2Pet easily grabs and removes loose hair from a pet’s undercoat without cutting the hair in the process. 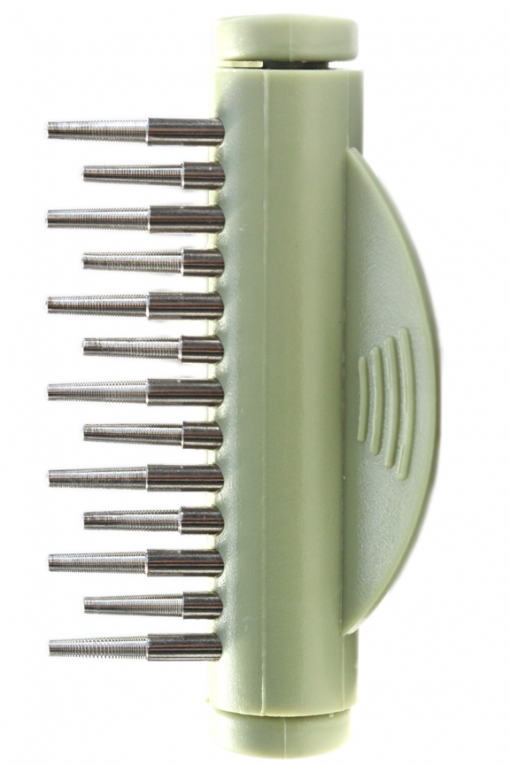 Use the rake brush to quickly and safely remove any remaining hair. De-shedder blade is a proven, century old patented curry comb which significantly reduces shedding in dogs and cats! 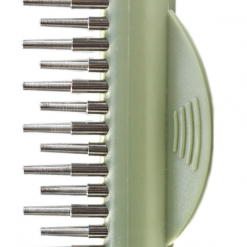 Tool head rotates 90 degrees for easy use of either brush. Comes with one-year limited warranty against defects in workmanship and materials. Great for long or short hair pets and is designed to work on all size animals! 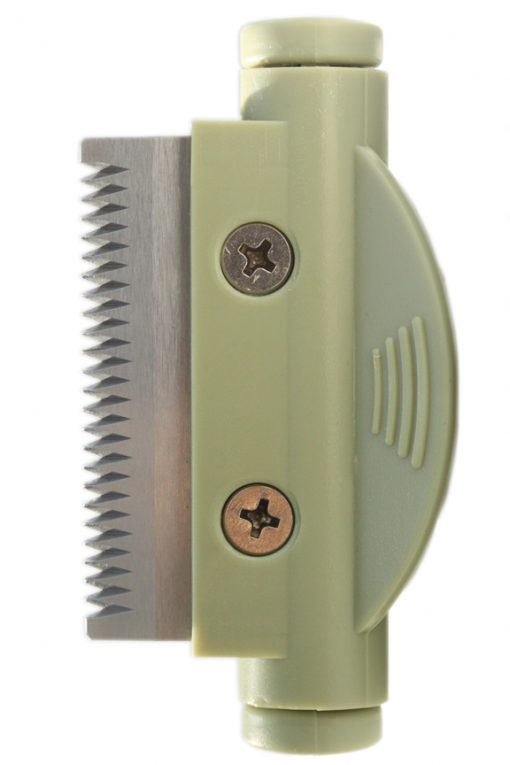 Quality construction with stainless steel heads; ergonomically designed, non-slip handle for easy use. Helps reduce hair balls in cats by removing the excess fur. 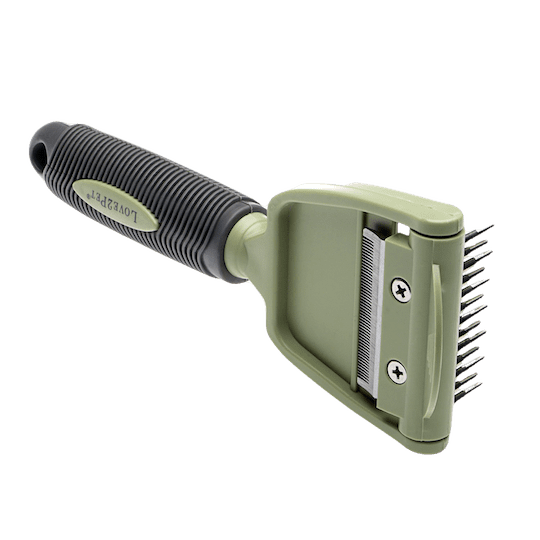 Use the unique, alternating rake pin head design to loosen the undercoat; then remove loose fur with the handy flip-over curry comb head to maintain your dog or cat’s beautiful coat – leaving only the shiny, healthy portion of the top coat behind.